I feel bad for January, a little bit. It's always dark and dreich, and everyone is skint, so counting down the days until the end of the month. But hey, it's over! It's pay day! Bring it on February. 1. Getting up on a Monday morning is hard enough... but getting up on a Monday morning when it's -6 degrees outside? Ouch, thanks Scotland! 2. 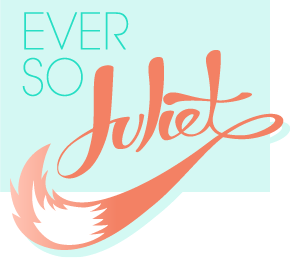 Started a writer's club with my pal Niki, in an attempt to actually finish a book this year! We write in completely different styles (Niki is a plot master, with ace dialogue and gritty scripts & I go "dragons! magic! eee! "), but I think it's going to be a lot of fun. And we had cake. 3. I've been pinning my hair up in a mini beehive-thing a couple of times this month. I like that it's quite different to how I'd normally wear my hair up (not that it looks it from the front! ), and it looks ace with a scarf tied round it too. 4. Had a lovely night in with my friend Rae, and she taught me how to make mushroom risotto! It was gorgeous. 5. 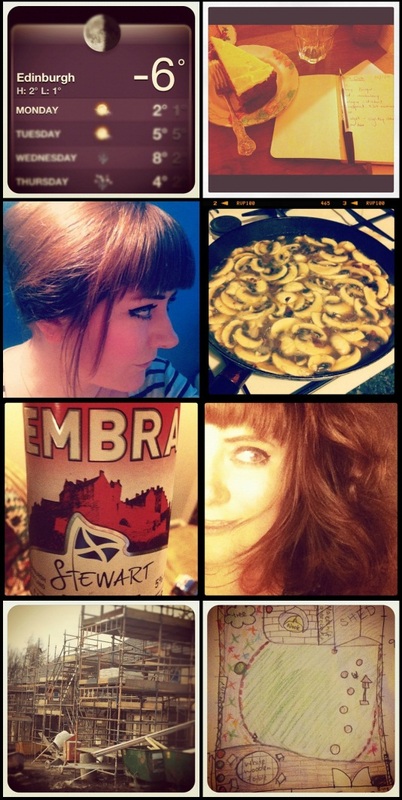 Drank some Embra beer (from Cornelius) at my Burns supper. The ingredients were "wheat, barley, hops, Scottish water and passion". 6. Post beehive hair (see photo 3). SO MUCH VOLUME. Ridiculous. I was genuinely worried that a bit had started to dreadlock over the course of one day! I had to absolutely drench it in conditioner before I started to look like a normal human again. 7. A trip to our future house! Ours is the second phase they are working on (it's on the left hand side of the photo), but it now has walls and roof, and is all going on schedule for April. We've picked our kitchen, bathroom tiles and flooring now - HOW EXCITING. 8. Feeling inspired after a trip to Dobbie's (to scout shed prices) we drew up plans for our future garden! I draw like a child, clearly, but love the idea of having loads of plants and colour everywhere! We also made the mistake of trying out a massive garden daybed... a bit like this. It was love at first sight (sit). It's hundreds of pounds. Oh dear. mmm with that mushroom risotto and the cake I'm getting peckish! The idea of a writers club is great! I do my best to write about 500 words a day or more but as I have noone around me who wouldn't rather watch telly I do it on my lonesome haha.